As we all know there is a massive rise in popularity for video content on social media. 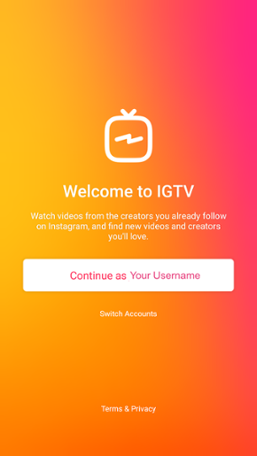 A timely introduction to IGTV from Instagram was made at the end of June. 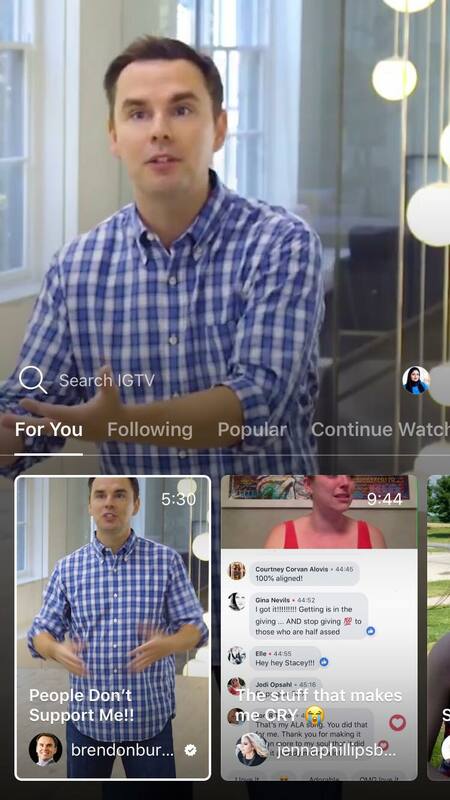 Instagram TV (IGTV), is a long form video app accessible within Instagram. The full-screen, vertical videos, can be uploaded by anyone, and they can be up to an hour long. Instagram has one billion users and the number is growing and it is the third largest social media platform with Facebook and Youtube ranking 1 and 2. This is super easy. Like I mentioned above, you can download the app in the App Store and Google Play. If you already have the Instagram account on your phone, you’ll likely be logged in automatically. If not, you just login as you would when accessing your Instagram account. As soon as you log in, videos from users that you are already following, may start to play. The swipe up feature will allow you to jump between the “For You,” “Following,” “Popular,” and “Continue Watching” categories. You then have the option to like, comment, and share with friends directly. Check out the channels your favorite mentors, coaches and influencers. Get a feel for the content that is already out there. Creating your own channel, personal or for your brand, is very easy to do. Just click on the settings “gear” to find the “Create Your Channel” option. Once you click to create your channel the app will walk you through the steps to get up and running. 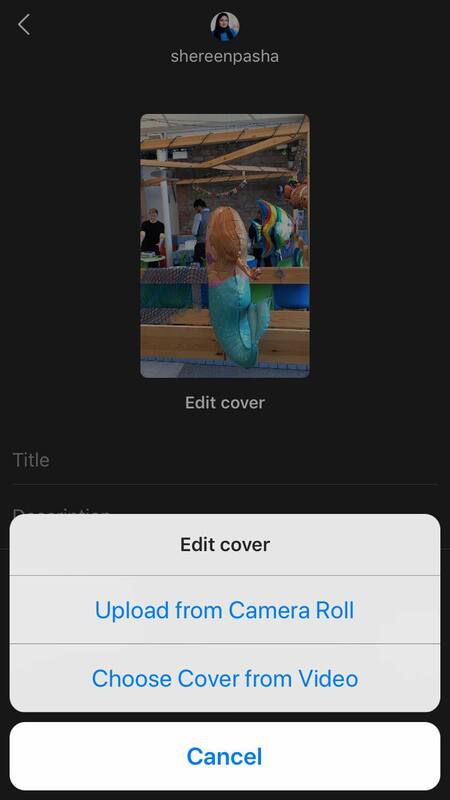 Once your channel is set up, you’ll see that you can upload video right from your camera roll. As a new user, video duration is between 15 seconds and 10 minutes long. 1. Q&A Series – answer the pressing questions of your audience. 2. Video Series, introduce yourself or a new series or a new topic. 3. Team Work – showcase a behind the scenes of your work. 4. Interview a client, expert or influencer. 5. Present Tips/quotes around a topic you’re an expert in. 8. Pre-launch Announcements: Introduce a Product or Project you are working on – tease us into being interested before you release it! Do you feel stuck and lack a structure in your coaching/therapy practice? Learn my 3 simple and proven routines to gain the visibility & momentum you need for the steady growth of your practice. How to immediately impact your coaching practice by having a consistent routine of visibility. The 3 Step Routine for designing a successful coaching practice and how you can implement it today! If you enjoyed this video, feel free to share it forward.